We offer one of the UK's largest selections of replacement toilet seats and bathroom accessories from top brands such as Bemis, Carrara & Matta and Euroshowers, available to buy online for next business day delivery to most UK locations. 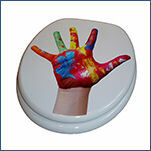 Replacement Toilet Seats offers a huge range of replacement seats including coloured, wooden, soft close, novelty and slow close toilet seats, all suitable for most standard toilet pans. 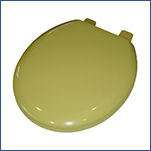 We also carry a range of non-standard Toilet Seats, specially designed to fit non standard size and shape toilet pans. We offer the latest designs and styles from leading brands such as Bemis, Carrera & Matta, Wenko and Euroshower. 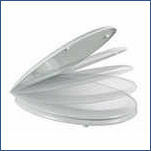 We also carry a wide range of bathroom accessories and fittings, including shower heads and hoses, shower curtains, shelving units, lighting and much more. We are proud to carry one of the widest ranges of replacement toilet seats and are pleased to offer a comprehensive range of coloured seats, including many colours that are hard to find. If you cannot find the colour you are looking for then we invite you to contact us with details about your seat, or email us a photo, to see if we can assist you in sourcing your next replacement toilet seat. 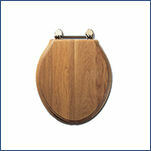 We recommend that you measure your toilet seat and pan before ordering. In our services section we have details on how to correctly measure the pan and seat to help you select the right replacement seat. All our products display seat sizes to make ordering easy.